The Last Supper, carved marble altarpiece, chapel of the Dominican Sisters of Hope, Newburgh, NY. 498 people in our community are currently praying with you. The names of the twelve apostles are these: first, Simon, who is called Peter, and Andrew his brother; James the son of Zebedee, and John his brother; Philip and Bartholomew; Thomas and Matthew the tax collector; James the son of Alphaeus, and Thaddaeus; a Simon the Cananaean, and Judas Iscariot, who betrayed him. We might wonder why Christ chose twelve apostles. Most people naturally associate the number with the tribes of Israel. There were twelve patriarchs or subordinate heads of the Old Covenant, so there would be twelve of the New Covenant. But the number is of little practical importance to us, today. It is the men and their work that fascinate us. They were, first off, mostly “blue collar” workers, men who labored with their hands — like Jesus himself. They were ordinary men called to extraordinary deeds. Most could not read or write. Christ promised that the meek would inherit the earth; appropriately, he called the meek to spread the message. There are three oddballs in the mix. First, Matthew himself. As we have discussed, he was different in a number of ways. He carried political baggage, being not only an employee of Herod (as a client king of Rome) but, even worse, a tax collector. He was white collar. He was educated, at least sufficiently to read and write Aramaic and Hebrew and to do accounting. Second was Simon the Zealot. There were five primary political factions among the Jews: Sadducees, Pharisees, Essenes, Zealots, and what might be called Herodians (who overlapped the first two). Keep in mind, politics and religion were inseparable for the Jews. The Zealots were a small, semi-secret sect of violent anti-Herodian revolutionaries. They were dedicated to ridding Israel of Roman colonization. One might compare them in organization to the Maumau in Kenya or the Thuggee (Thugs) of India, although the religious aspect was a bit different. Consider this: if Simon had met up with Matthew in a dark alley (before their call), he would have stuck a knife in Matthew's belly. Third, Judas Iscariot clearly occupies an odd spot. Nobody is sure why he was called “Iscariot”; there are at least six competing explanations, including one (probably incorrect) that would make him a member of a revolutionary assassins called the “iscarii”, similar to the Zealots. Most likely, he got the name simply because his father, Simon Iscariot, came from Kerioth, the name of several towns and also a region to the north. But the critical inquiry is not who they were, but what they did; for lacking their call as apostles, they would be utterly lost to history. 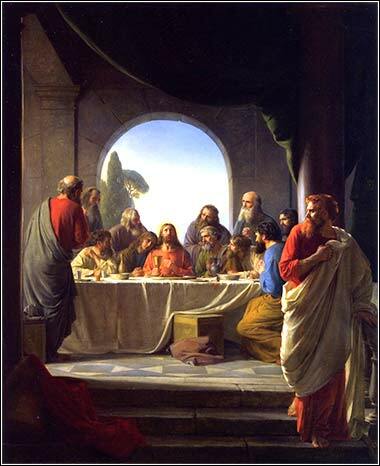 To a man, they accomplished extraordinary things, making long journeys, becoming great speakers, leaders, and healers and, with the exception of John, dying violent deaths: Judas by his own hand, and eleven others (including Judas' replacement, Matthias) slain as martyrs.